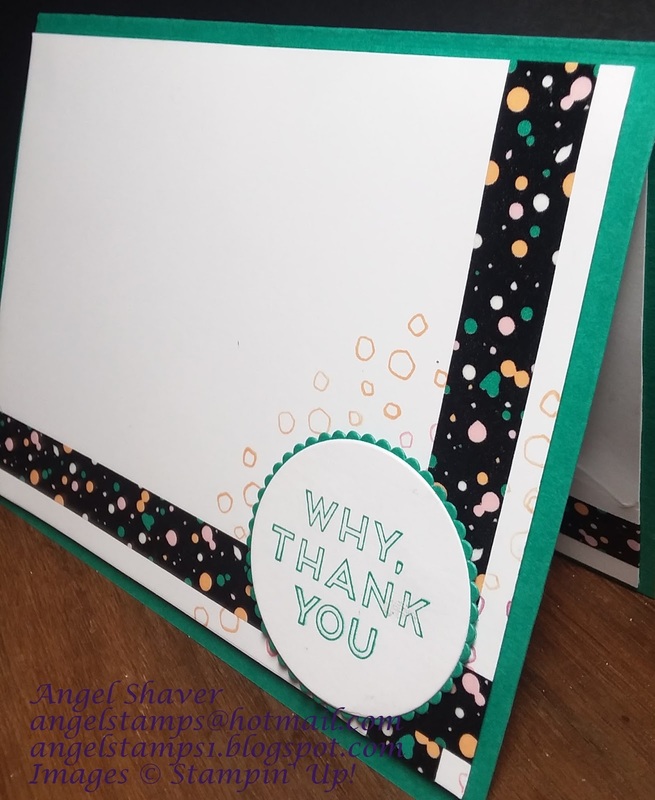 I am really liking creating black and white cards with just a pop of color. I am thrilled that the Merry Music Specialty DSP is black and white just like you would expect a sheet of music would be. Perhaps it's the musician in me that is loving the simplicity of the color scheme. 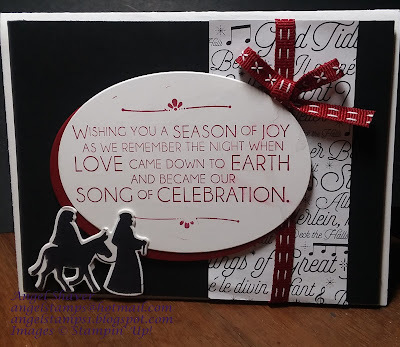 For this card, I feel like the black and white adds to the seriousness of the event it represents--Mary and Joseph traveling to Bethlehem. The songs listed on the strip of DSP are about that night. I also feel like the pop of Cherry Cobbler hints at the celebration and joy of the occasion. 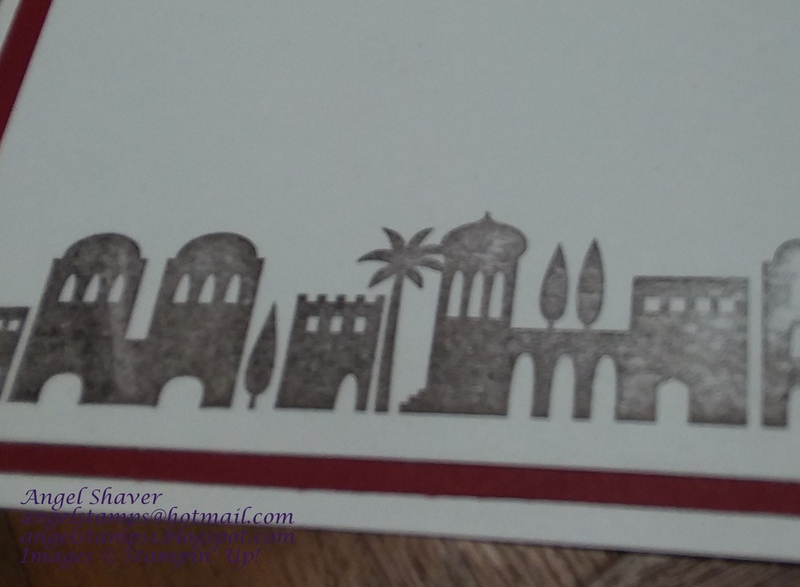 I even added a layer of Cherry Cobbler inside the card and stamped the Bethlehem cityscape along the bottom of the card interior. I am entering this card in two challenges. Make sure you head over to their pages to see the inspiration cards by the design teams and the other creative entries. The Reservation Window is now closed. 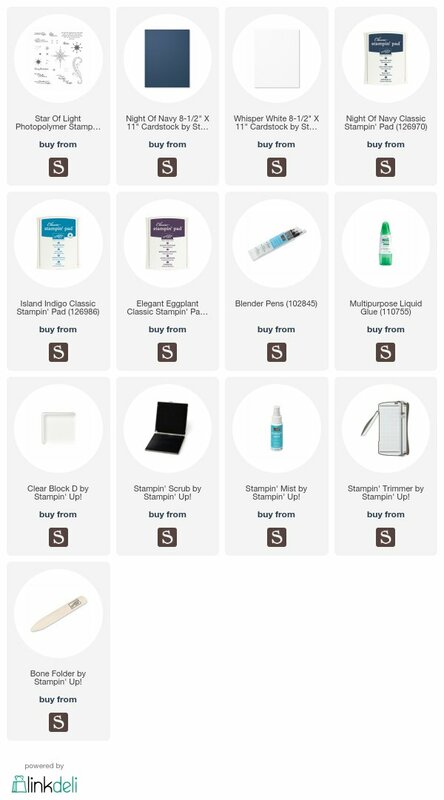 The Reservation window will reopen on December 5 with approximate shipment beginning March 19. 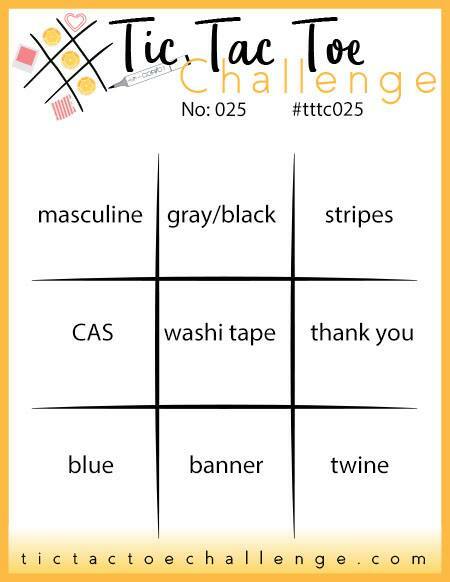 I decided to make a thank you with #tttc025 today. 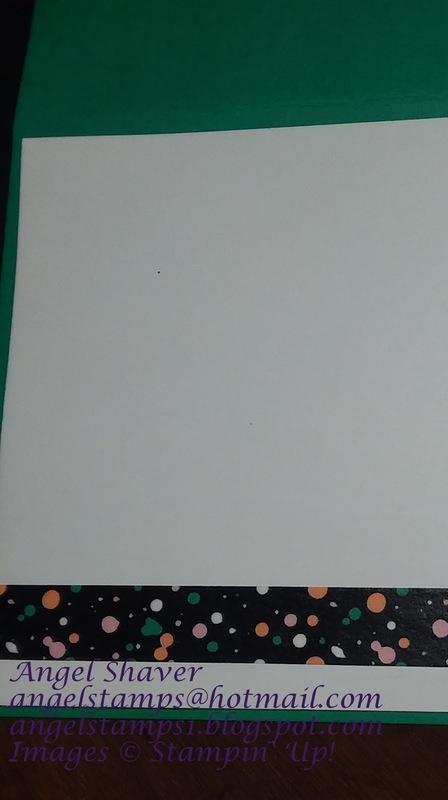 I used the center horizontal boxes to make my tic tac toe: CAS, washi tape, and thank you. I had forgotten just how much I like the 2015-2017 In Colors until I pulled them out again for this project. I love the use of Washi tape to quickly decorate the inside of the card to help it coordinate with the card front. This Playful Palette Washi Tape is retired, but the good news is it is currently available in the clearance rack if you love it and can't wait to get your hands on your own. 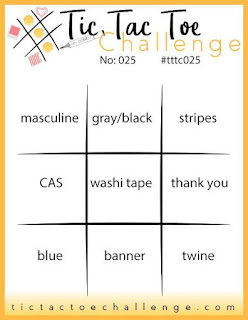 Make sure you head over to Tic Tac Toe Challenge to see the inspiration cards by the design team and the other creative entries. The Reservation Window is now closed. The Reservation window will reopen on December 5 with approximate shipment on March 19. 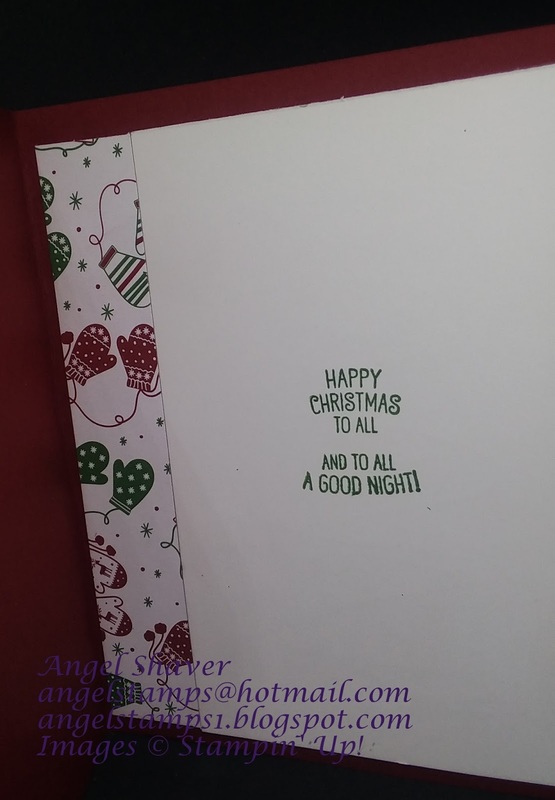 It's time for another Christmas card challenge which I happen to have a few of around here. 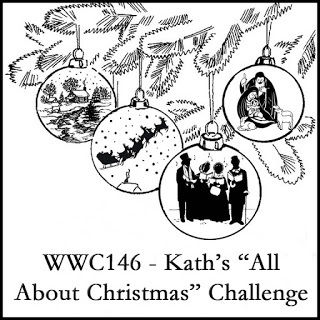 I chose to enter this one for this challenge since it seemed appropriate to me for this week. This week is the first Sunday of Advent and the Advent season begins with expectation. When I see the star, it fills me with expectation--knowing Christmas is coming and the star will lead us to the Light. 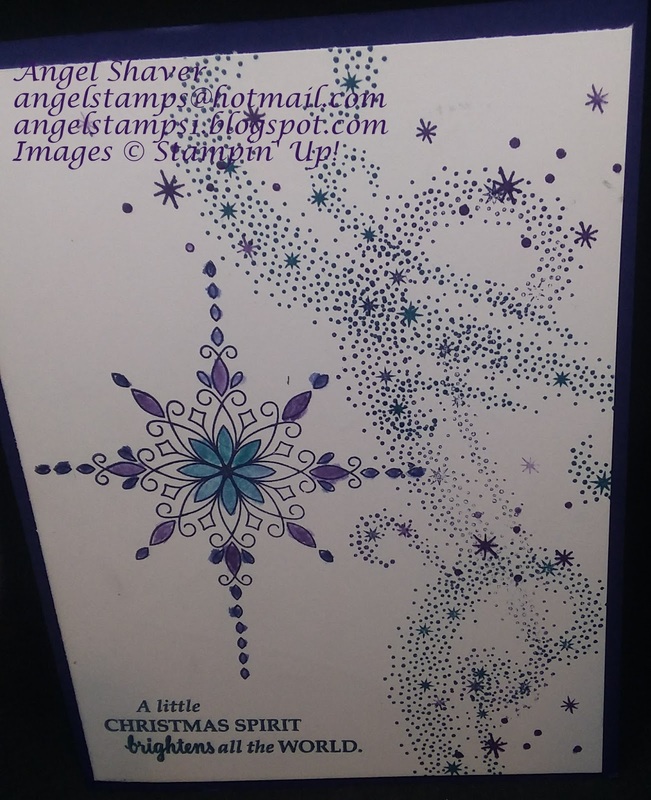 I feel like this card shows the Heavens rejoicing as well, with the swirls of color surrounding the star and I carried that swirling color into the inside of the card as well. When you see the stars, may it bring the feeling of expectation and anticipation as we know that Christmas is just around the corner. There are times when I love to create a card featuring only stamps and ink. This card does just that. 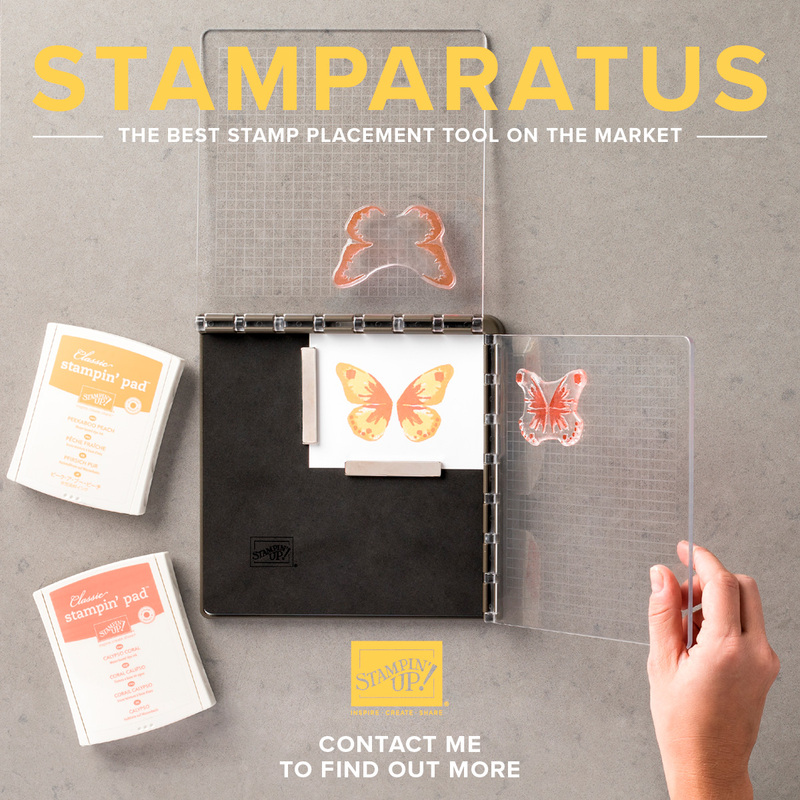 The stamps are definitely the star (Hee Hee! Nothing like a little pun to brighten your day) and the colors just accentuate them. I pulled the colors used in the atmosphere into the detail of the main star using blender pens. 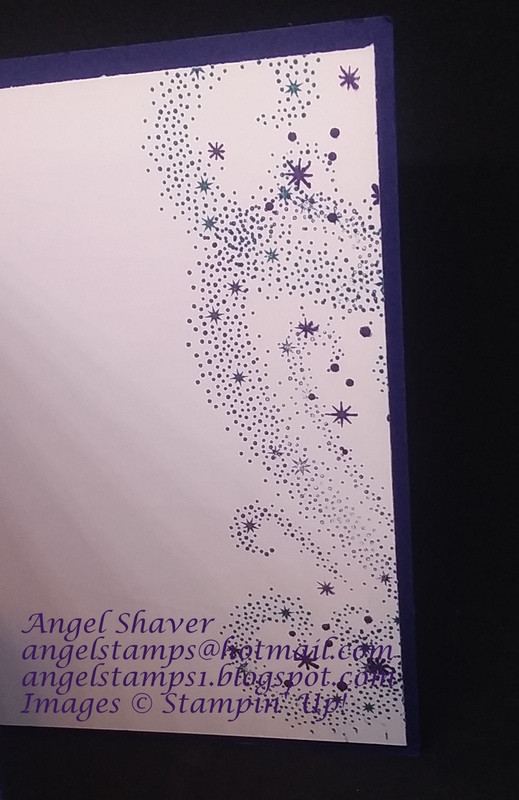 I want to call it a one layer card, but I did have to stamp on a layer of Whisper White for the card front so you could see the stamping since I chose a Night of Navy card base. Make sure you head over to Watercooler Wednesday to see the inspiration cards from the design team and the other creative entries. 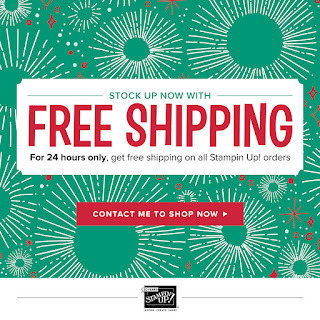 Get your wish list ready for the 24-hour FREE SHIPPING event happening from 12am-11:59pm MT, Monday, November 27. I am excited to be venturing away from the holiday cards I have been featuring lately. 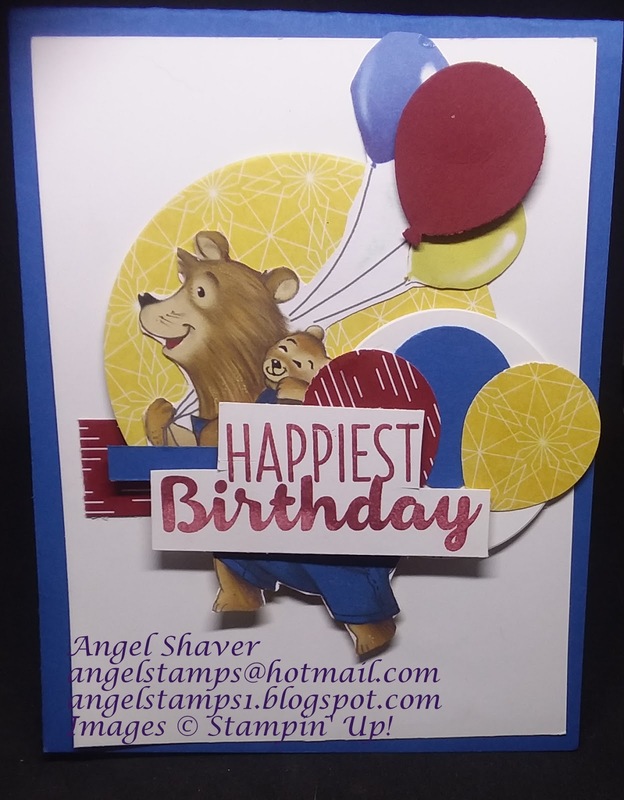 Although I love creating Christmas and fall holiday cards, sometimes you just need a good Birthday card. I was very excited to see the challenge with CAS this week. 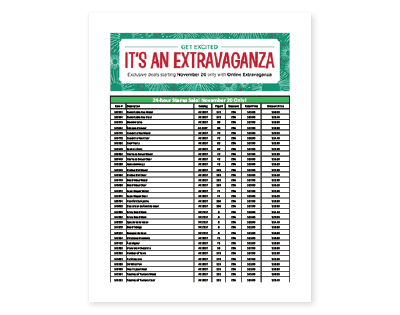 It is there 250th challenge and their 5th birthday celebration. That is definitely worth a birthday card. 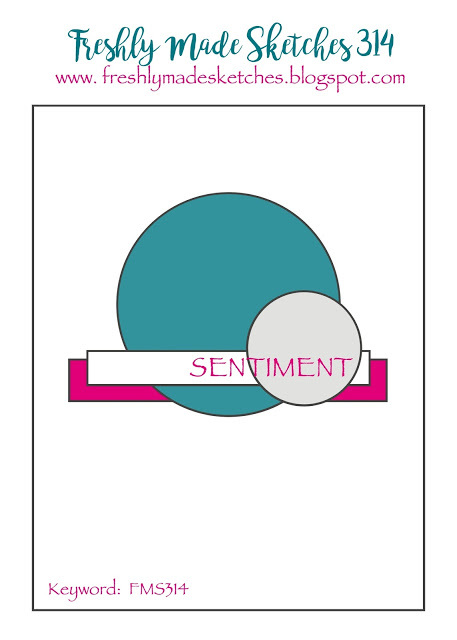 The primary colors for this challenge automatically make me think of childhood, balloons, celebration and birthdays. I was thrilled to see the Birthday Memories DSP used two of the three colors from this challenge, so I just had to find a way to introduce some Cherry Cobbler. 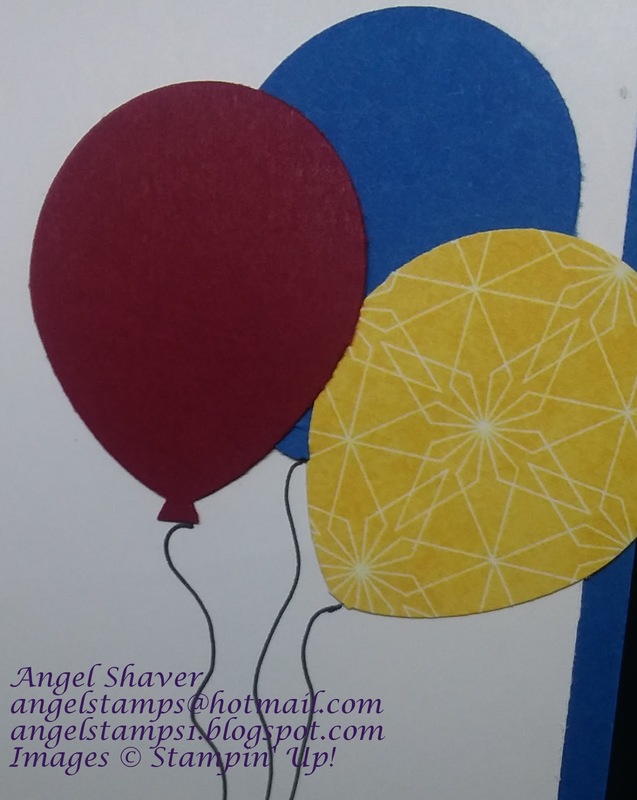 I did that by punching out balloons using Cherry Cobbler Cardstock, stamping the sentiment in Cherry Cobbler Ink, and adding a strip of Be Merry DSP in Cheery Cobbler as one of the sketch elements and a balloon. 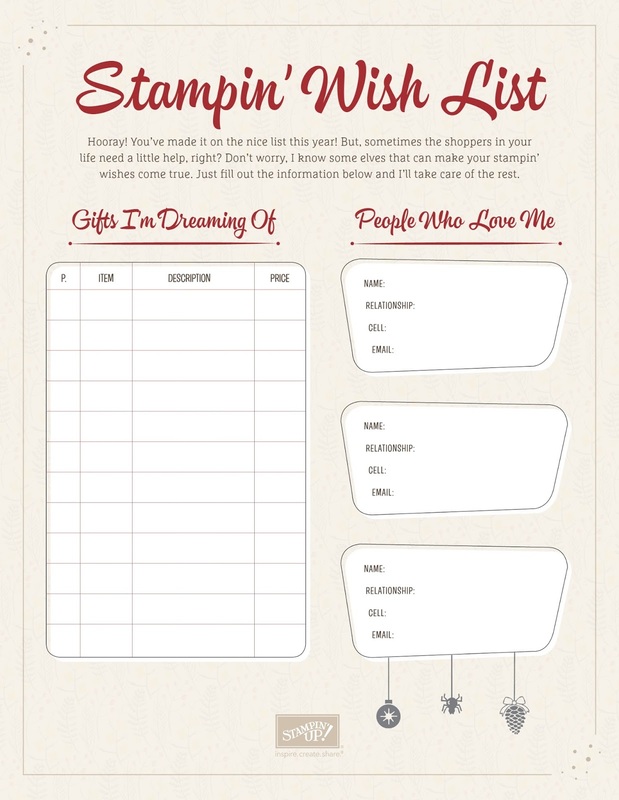 (Hey, I just couldn't completely leave the holidays out of this card). 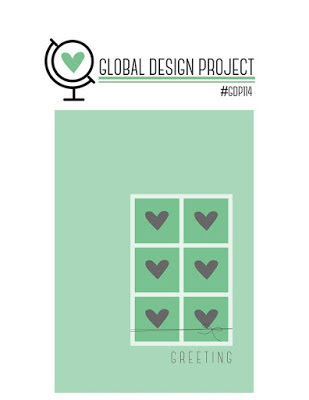 Make sure you head on over to #CAS250 to and #FMS314 to see the inspiration cards by the design teams and other creative card entries. The minute I saw the sketch for #GDP114, I immediately thought the Santa Builder would be perfect. When deciding which DSP to use, the mittens DSP helped determine the direction of this challenge. I decided to feature the variations of mittens and create six different pair to match the different mittens on the DSP. 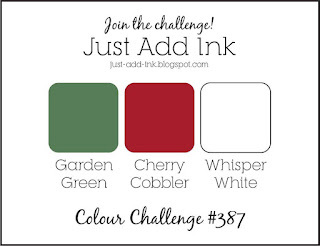 I used both the Garden Green and Cherry Cobbler to create three pairs in each color and used both the solid mitten stamp, striped mittens stamp, and created some polka dots with a blender pen. I even added Wink of Stella polka dots to one pair of mittens. 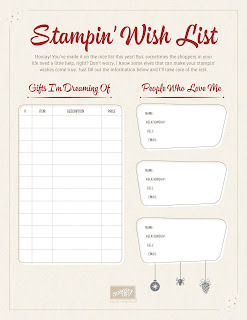 I hope this card makes you feel nice and cozy. I know it does me. When I finished the card and saw which colors I used, I realized this card also meets the criteria for Just Add Ink #387. 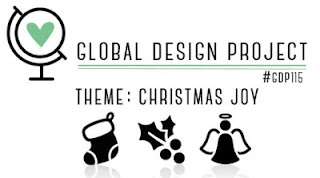 Make sure you head on over to Global Design Project and Just Add Ink to check out the inspiration cards from the design team and other creative entries. 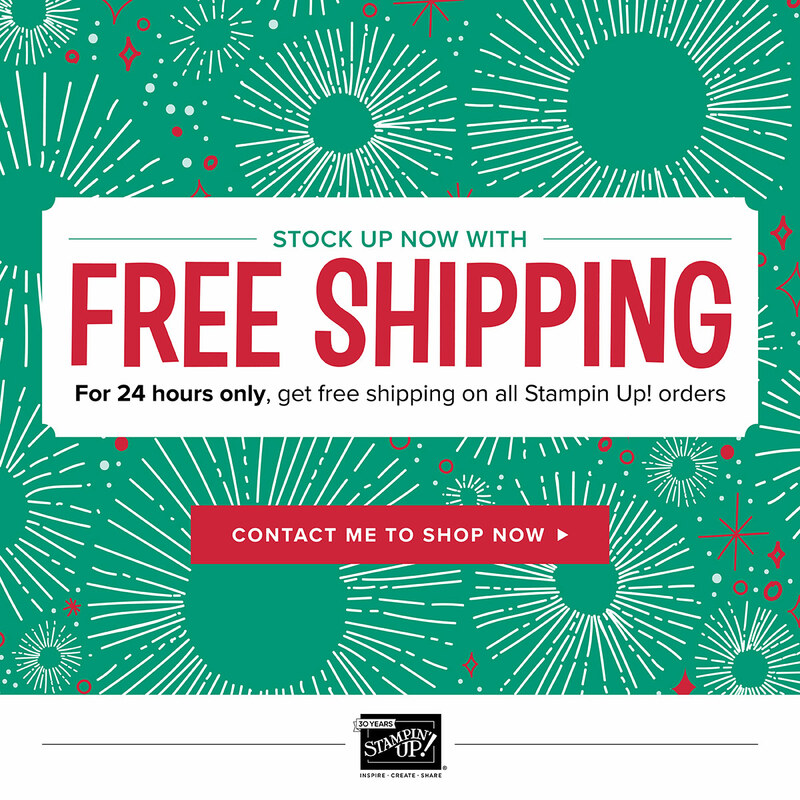 Then, get your wish list ready for the 24-hour FREE SHIPPING event happening from 12am-11:59pm MT, Monday, November 27.